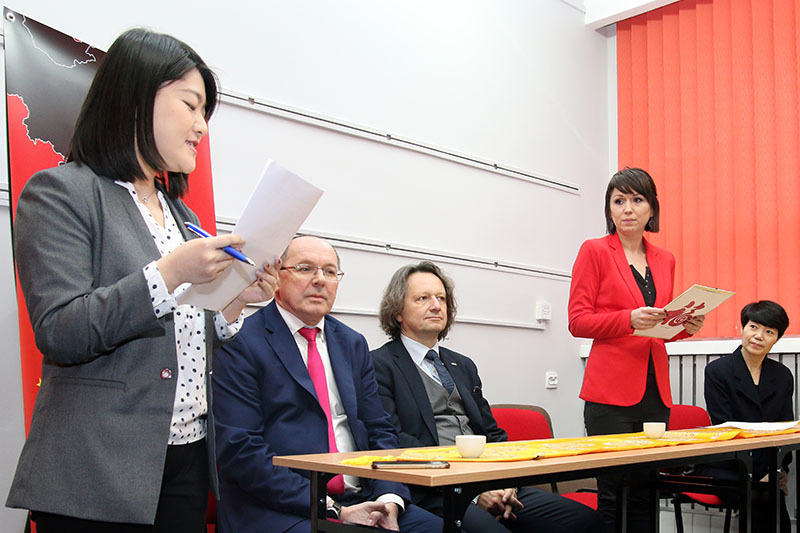 The Center of Chinese Language and Culture – a research and teaching unit of the University of Silesia in Katowice – was officially opened on January 12, 2018 at Uniwersytecka 4 in Katowice. The establishment of the Center is a result of constantly increasing interest in the Far East. The event's program assumed seminars, demonstrative language lessons (of Chinese, Japanese and Korean), as well as an Asia-themed escape room. The opening ceremony was attended, among others, by the University’s authorities: Vice-Rector for Research Prof. Andrzej Noras and Vice-Rector for Education and Student Affairs Prof. Ryszard Koziołek. The main activity of the Center of Chinese Language and Culture is to provide classes in Chinese language and culture. However, the Center plans many other activities, apart from solely didactic ones, aimed at promoting countries of the Far East. One of such initiatives is the Chinese Film Club - a project carried out in cooperation with the China Art Museum in Shanghai and the Institute of World Film Shanghai, and the Film Institution "Silesia-Film". The shows will take place on January 21 and 26 at Kosmos Cinema and February 2 at the Rialto Cinema in Katowice. In the future, the Club's activities will include specialized workshops, inter-university exchange, courses in Poland and publications on Polish cinema. Among other planned activities are: Chinese calligraphy workshops, mask painting and meetings related to the reception of Polish literature in China. The Center of Language and Culture of the University of Silesia cooperates with the Students' Scientific Circle of Chinese Law, which will initiate its activity in January 2018. 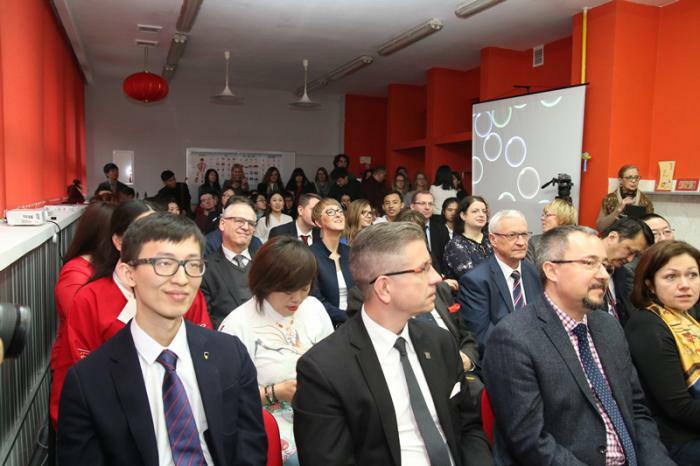 …Attaché for Cultural Affairs of the Embassy of the People's Republic of China in Warsaw Zhang Ruoyu, Vice-President of Katowice Waldemar Bojarun, Director of the Institute of English Language dr hab. Adam Wojtaszek, and dr Jagna Malejka of School of Polish Language and Culture. Find more information about the Center's activities on Facebook. Photos by: Press Section of the University of Silesia.